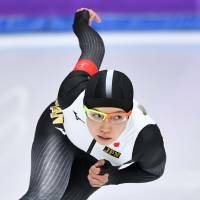 GANGNEUNG, SOUTH KOREA - Nao Kodaira insists her silver medal-winning performance in the women’s 1,000 meters on Wednesday night has put her in good stead for her next crack at a gold medal in her favored 500-meter sprint at the Pyeongchang Olympics. Kodaira was widely expected to win the 1,000 gold on the back of three wins on the World Cup circuit this season, including a world record-breaking victory in Salt Lake City in December. But the Netherlands’ Jorien ter Mors romped home to win the gold medal in an Olympic record, leaving Kodaira and Miho Takagi to take second and third place at Gangneung Oval. 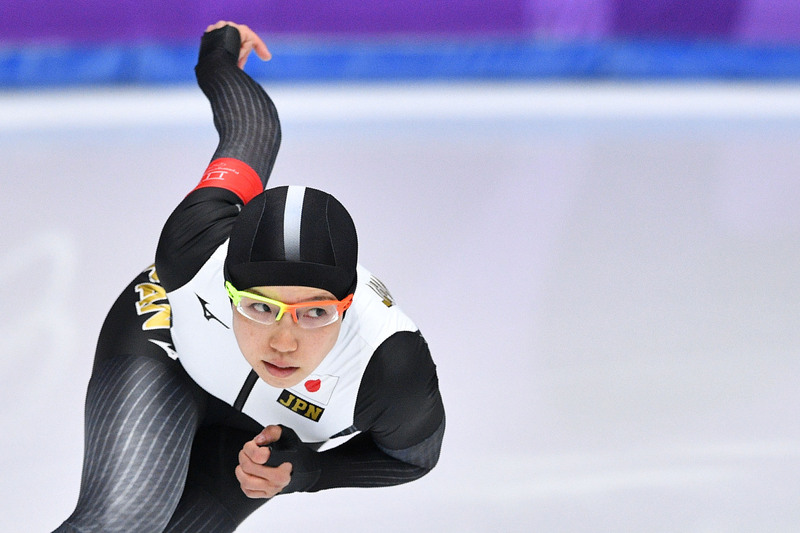 Kodaira watched ter Mors clock 1 minute, 13.56 seconds in the 12th pairing and could not better it when she stepped onto the Gangneung Oval track, finishing 0.26 of a second off the Dutchwoman’s time. “It wasn’t a bad time,” said Kodaira. The Dutch skater (ter Mors) was just so great. At the Olympics, always it’s the stronger athlete that wins. Although the Netherlands has long been speedskating’s traditional powerhouse, Kodaira believes Japanese skaters are making inroads. Takagi broke up a Dutch sweep by taking the 1,500 silver on Monday. “Silver and bronze, we (Takagi and I) are now stepping on the podium, and we’re happy about that. However, after the race, we did say we wished we were one step higher. So yes, we’re a little frustrated, however, for Japanese speedskating, I think this is a great step. “At the Olympics, we were not able to win gold in the 1,000, but what we’ve done so far is not wrong. I think we’re moving in the right direction. Kodaira also paid tribute to Takagi, who made her Olympic debut in Vancouver in 2010 as a 15-year-old, saying she pushes her to be a better skater. Takagi finished runner-up to Kodaira in all three of the World Cup 1,000-meter races the latter has won so far this term. “At Vancouver in 2010, she was coming to the Olympics with me at the age of 15. I was hoping she will not hate skating. Now she’s here on this Olympic stage and we’re competing against each other and that really makes me happy,” said Kodaira.